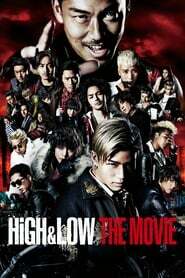 Nonton High & Low The Movie (2016) Subtitle Indonesia – S.W.O.R.D. Chiku is a devastated and dangerous town with 5 gangs fighting fiercely. Before these 5 gangs, the legendary Mugen gang dominated the town. Mugen and the Amamiya Brothers (who did not submit to Mugen) clashed and Mugen disbanded, but .